Alfred Bernhard Nobel, commonly known as "Alfred Nobel" was a Swedish Chemist, Engineer, Innovator and also Armaments manufacturer. He was the Inventor of Dynamite as well. Hence people called him "The Merchant of Death". Alfred Bernhard Nobel born on 21st October 1833 in Stockholm, the capital and the largest city of Sweden. His father name is Immanuel Nobel, an Engineer who builds buildings and bridges . His mother name is Andriette. Nobel comes from a Wealthy Family. Alfred’s Father is skilled person in invention but struggle to run a profitable business in Sweden. So they moved to St. Petersburg in Russia and to do some explosive manufacturing job. After Alfred was trained by private Teachers in Natural Sciences, Languages and Literature. Alfred’s primary interests were in English literature and poetry as well as in chemistry and physics. Alfred’s father sent Alfred to Sweden ,Germany, France and United States for his Higher studies in Chemical Engineering. Alfred worked in private laboratory under the guidance of famous chemist Professor T.J.Pelouze. 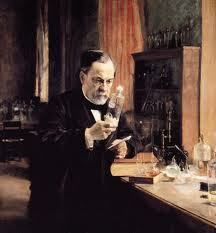 In the Laboratory, he met Italian Chemist Ascanio Sobrero, they invented Nitroglycerine, a highly Explosive liquid. Alfred Nobel planned to use this Nitroglycerine for construction work but its too dangerous, because it will exploded due to heat and pressure while in pratical use. After some Experiments with nitroglycerine, he found mixing Nitroglycerine with Kieselguhr converts a liquid in to Paste. They named the new Material as Dynamite. So construction workers easily use the dynamite rods in to drilled holes which could be ignited by lighting a fuse. Dynamite Rod reduce the cost of blasting rocks, tunnels etc. Alfred Nobel proved skillful entrepreneur and a businessman due to rapid development of Dynamite rods and detonating caps in the world market. In 1896, Alfred Nobel died of a stroke attack in san Remo, Italy. After his death nobel left 31,225,000 Swedish Kronor is equal to 250 Million U.S Dollar, fund the amount for Nobel Prizes. Nobel prizes will given to any country people for their inventions and achievements.